So to be fair, I did start rereading this a while ago (think 2011) but got interrupted. So since my disappointment with my Julia Gray books, I though I should reread the Inheritance Cycle, because I haven’t read the fourth and final book yet. Rereading Eragon was a bit of a revelation, but it was enjoyable all the same. 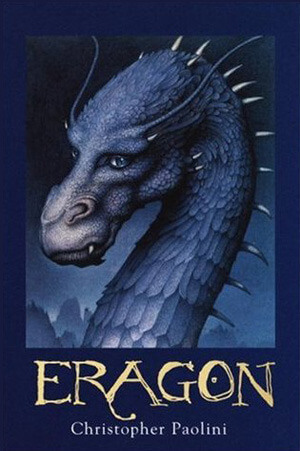 Eragon is just a simple farm boy, who happens to enjoy exploring the Spine – where noone else dares venture. Imagine his surprise when a fantastic looking rock suddenly appears. Sloan, the butcher, hates Eragon which leads to tension, conflict and ultimately betrayal. Eragon must enter the wider world to fulfill his destiny! Eragon is a good character, but not fantastic. When typing ‘Eragon’ on my phone, my phone predicts ‘Dragon’. There really isn’t much between the two words. For Paolini to have created the ancient language, but not to have bothered creating a better name for his main character is a little disappointing. Eragon does develop over time, and he does develop strong relationships with the other characters, but there always seems to be a certain something missing. I can’t put my finger on what, but there is for me. Perhaps it is the borrowed and time-honoured setting of the farmlands, the cities, the desert and finally the mountains and the dwarves. Nothing new to see here. The way the different elements are put together (setting, narrative and character) produces a satisfying book. Nothing here that a less well read reader would dislike. One thing that does irk me about series/triologies/quartets is when the publisher changes the way the spines/covers on the books look. So some of my books, I own the first 3 books and they look the same, and then the fourth book is different. Luckily this isn’t the case for Eragon. However, since my partner and I both love Eragon, we actually have 3 copies of each of the books. He owns the larger sized books, which act as our reading copies. I then own the smaller size, which fit nicely on my shelf. Finally, we have the collectors hard-back editions, which don’t all match. I’m not sure if the fourth book will have a fancy collector’s version published, but I hope so! I’d recommend this book for teens that are just heading into enjoying fantasy. It combines elements of Lord of the Rings and other popular adult fiction novels. To be fair, many critics find this offputting, but for a teen who hasn’t enjoyed anything in the fantasy genre yet, this is a great place to start. The language is easy, there is just enough bloodshed and tension, and Paolini does try and inject some twists into his writing. It could be suitable for children, but do keep in mind there is war and some horrific injuries (which Paolini doesn’t dwell on too much, but they are still there). There is a movie made from Eragon, but it does not stay true to the narrative. Personally I prefer the book, but the people I saw the movie with had never read it and enjoyed the movie. I almost always prefer the book, being the reader that I am. 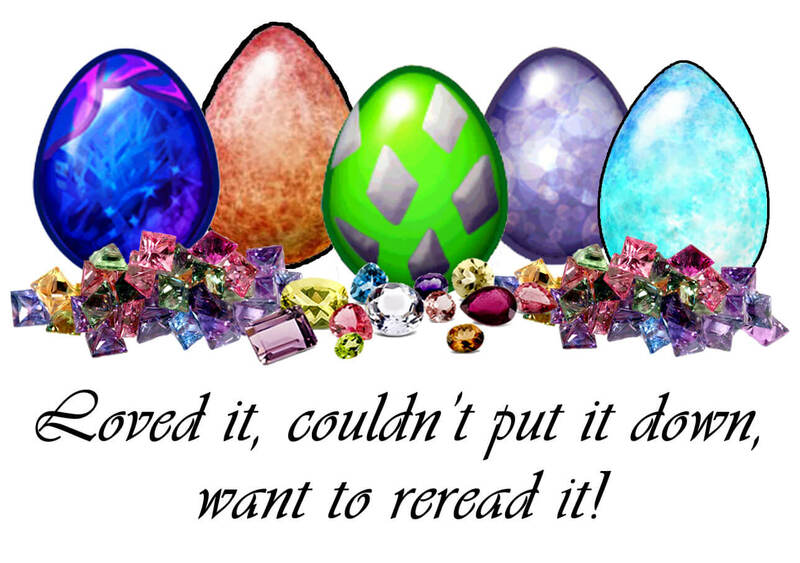 This entry was posted in Fantasy, Fiction, Teenage Fiction and tagged 5-stars by Rose Herbert. Bookmark the permalink.